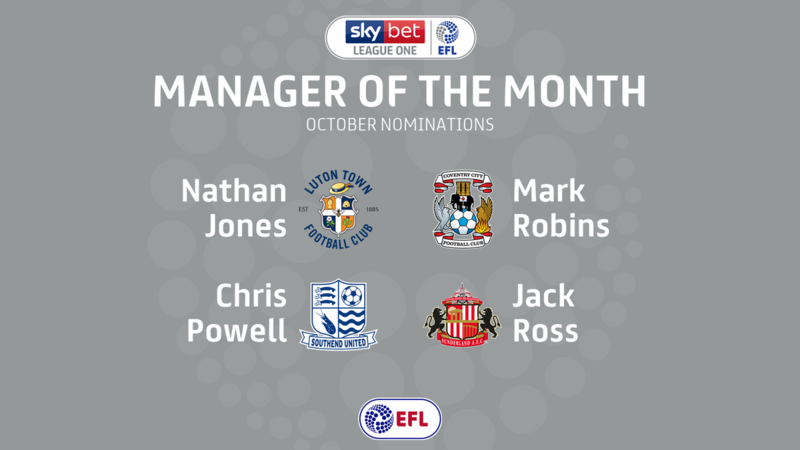 The news of Coventry City Manager Mark Robins being named as a nominee for League One Manager Of The Month for October comes as no surprise. City won five out of their six league games in the month of October, losing only to Portsmouth and that run of five wins included the Sky Blues' first win at Bradford City since 1959, plus some late goal special wins at Charlton Athletic and Southend United and lifted the team to within touching distance of the play-offs. Robins is nominated for the monthly away along with Luton Town's Nathan Jones, whose side also earned 15 points from six games, Sunderland's Jack Ross whose side took thirteen points from five games and Southend's Chris Powell, whose side took ten points but have lost Tom Hooper and Ben Coker to injuries which have ended their season.